A convoy of emergency service vehicles surrounded Maria Fareri Children’s Hospital, a member of the Westchester Medical Center Health Network (WMCHealth), in Valhalla and flashed waves of lights as support for children battling serious medical conditions this past holiday season. 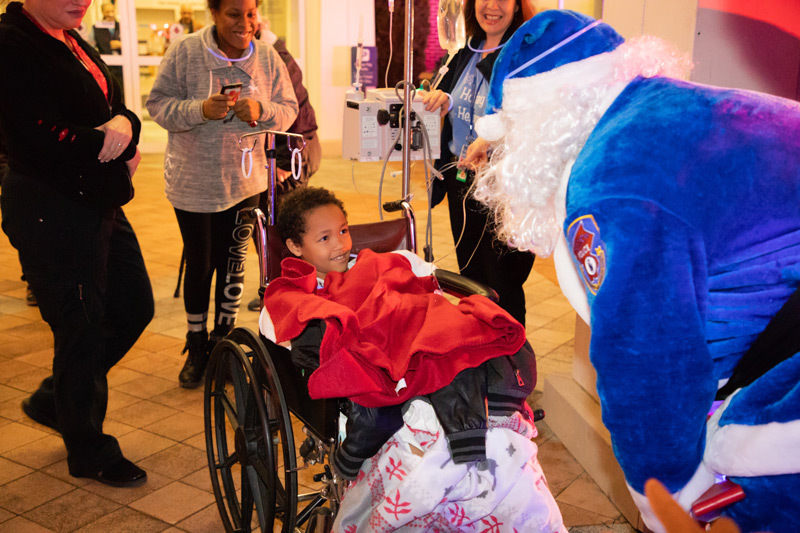 Children, their families and staff waved back with lights of their own, creating a spectacular light show during a special holiday edition of ”Good Night Lights“ at the hospital. Community police, fire and emergency medical service agencies participated in the event, organized by the Westchester County Police Department. Also on hand were “Blue Santa” and an entourage of emergency services “elves” assisting him with spreading holiday cheer. Events like ”Good Night Lights“ offer positive distractions for hospitalized children, who often spend extended periods away from home battling heart disease, cancer and other serious ailments.